“Stars and Sky” is our Motto for Strickmich! Club 2018 – and here is our first pattern from the Club: “Halley”! 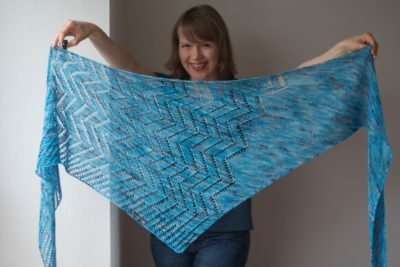 Our members received a printed version of this pattern together with the beautiful exclusively hand-dyed yarn from Zauberwiese back in February. 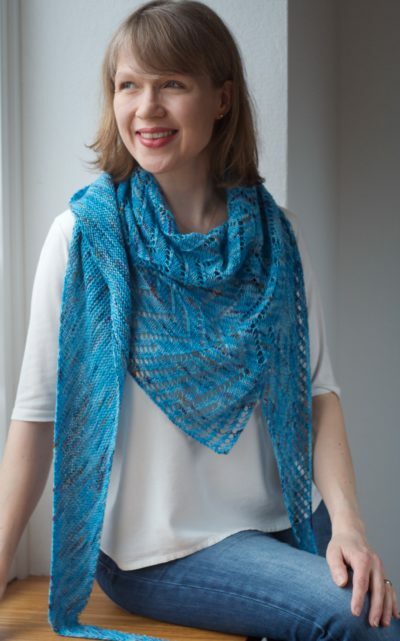 The pattern and the yarn have been exclusively available for club members (they also could re-order more of the beautiful yarn) during six months, and now the time has come to take “Halley” on its next journey into the knitting world. The pattern is now available on Ravelry and in Strickmich! Shop, where we also offer a limited number of kits with the exclusively handdyed yarn. 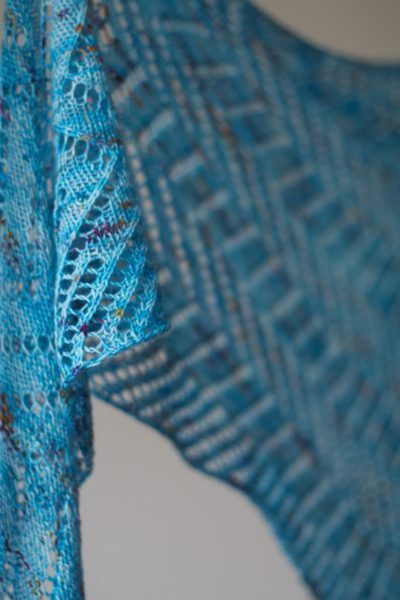 Knitting Halley starts in a very relaxed fashion with a simple triangle in garter stitch that slowly gives way to an intricate zig-zagged lace pattern. When I worked on the design for this, I was thinking of a shower of comets, criss-crossing the starry sky at night. The “stars” topic can also be found in the colorway of the yarn: Alexandra was inspired by pictures of far away galaxies and nebulae. Have a heavenly time while knitting this! P. S.: Sign-ups for Strickmich! Club 2019 start at the beginning of November!